We all want it, but how do we get it? Good question and one I’m asked frequently. Below I will show you exactly what to do and reveal how Matt (above) followed this proven strategy to lose 7kg in 7 weeks! Note: I previously posted the truth about body transformation programmes which covered this topic from a slight different angle. Although these are the key elements, there are actually 5 others which support them. I cover that in my 7 secrets to sustainable body transformations system, so I won’t cover it again here. Put simply, training and nutrition are the racing car and driver in a Formula 1 team. The other 5 secrets are the pit crew, support staff, managers, computers and personal advisers. You can have the best driver and car in the world but without the rest of the team you won’t get far. 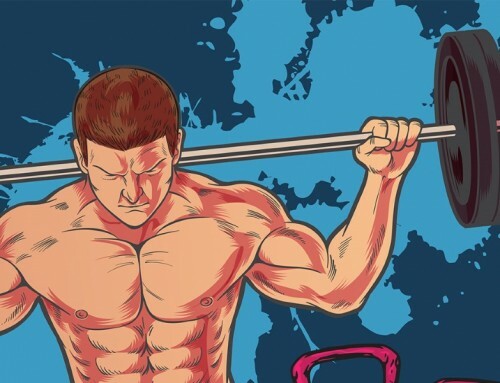 Let’s start by taking a look at how to train. Most people think of running when they imagine trying to get in shape. Like a scene out of Rocky where you run in the snow, pulling car tyres and chasing chickens…If that’s you, please remove that thought from your mind. Running is great for cardiovascular fitness (heart, lunges, blood vessels, etc) but not a time efficient or effective way to burn fat. The most effective way is to do a mix of weight training, HIIT style workouts and then cardio if you have time. Here is a FREE workout program for you to try. Choose workouts from the library to fit the above schedule. 4 sessions a week are required to see optimal results. 4 hours a week is just 2.4% of your available time in a week. Read more about that here. Anything over 4 sessions a week and you get diminishing returns. Meaning, the effort required to do it won’t give you the results in progress. Also, 4 sessions a week is hard enough for most people to stick to consistently and that’s what we are aiming for. Consistent, week in, week out 4 times per week. If you miss the odd session here and there it’s ok. But consistently only training twice a week is very unlikely to get you the results you want. OK, that’s training covered. Let’s take a look at what to eat. As the saying goes, abs are made in the kitchen not in the gym. And it’s true. You can’t out-train a bad diet. So what is a good diet? I try to avoid the term diet because it has so many negative connotations associated with it. I’m not a believer in strict calorie counting, tracking your macros (proteins, fats, carbs) or any other time consuming and extreme diet. In theory it sounds simple but in reality it’s very hard. Most foods in the supermarket are processed, especially long lasting, packaged products. Minimally processed basically means anything which is fresh, probably goes off quickly, looks like a real piece of food and has no chemicals added. Fresh meat. Ideally free range and organic if budget allows. Avoid any really cheap, low quality packaged meats which aren’t even 100% meat. Tinned tuna and other fish is ok but get it in spring water. Nuts and seeds. Raw, non roasted or salted ones. Just plain, as natured intended nuts and seeds. Nothing added. Be careful not to eat too many of these as they are calorie dense. Next, let’s look at the 5 biggest reasons you’re not losing weight. Although these are not the only reasons they do usually account for the majority of reasons why people find it hard to burn fat. Fruit juices – Fresh fruit juice that you make yourself is all good. Pre-made ones are terrible. They’re full of calories without any good nutrients which have been removed in processing. Chocolate – Probably the most obvious one. Chocolate, especially milk choc, is high in calories and easy to eat too much. Don’t keep any in the house! If you must have some, try a minimum 70% dark chocolate. There is a good 90% one from ***Lindt or green and blacks***. Sauces – I see a lot of people eating really well having salads, fresh veg and fruit but then adding something like sweet chilli sauce on top. These kinds of sauces are very calorie dense. Keep it simple. Use olive oil, salt, pepper, dried herbs, spices, lemon, lime, etc. There are endless choices but just avoid the pre-made ones. Snacks – snacking is a big thing nowadays. Go back 50 years and no one really did it. At least not with chocolate, crisps, biscuits, etc. Avoiding low quality, high calorie snacks can be a big win for most people. 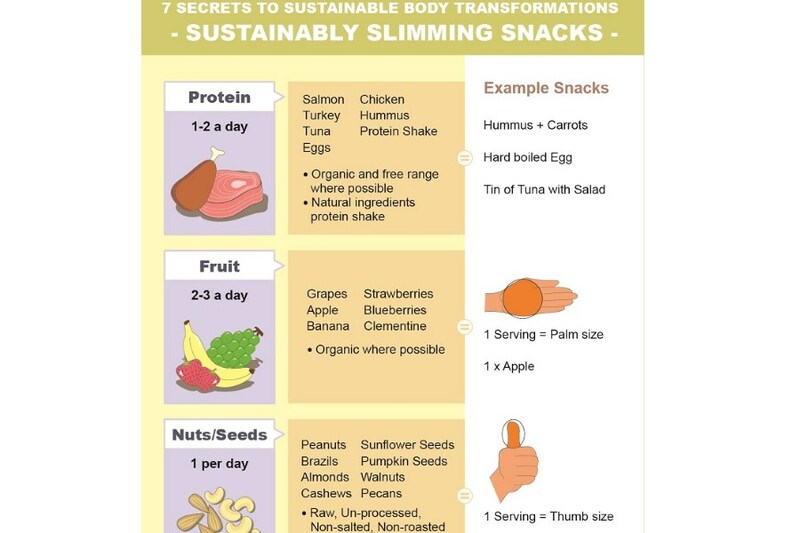 Here are some snack options to try out. Let’s be clear. Most people want to lose some fat. Most say weight, but what they really mean is fat. Tracking only your weight is not ideal, as it’s just one piece of information which can be misleading. 10Kg of fat is different to 10kg of muscle, but they weigh the same. 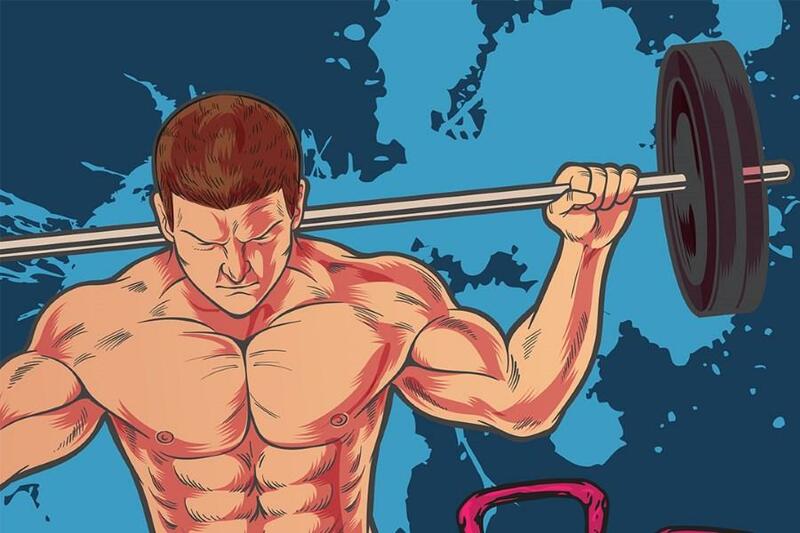 Adding 10kg of muscle will dramatically change your body shape compared to adding 10kg of fat. OK, so that’s what you need to record and track. Next let’s look at how we put this all together to see some real world results. That’s the basics of a body transformation approach. Sounds simple, right? In theory it is very simple but putting into practice is the hard part. If it was that simple everyone would be doing it well and I would not have a job! Let’s look at what is possible to achieve with this approach. 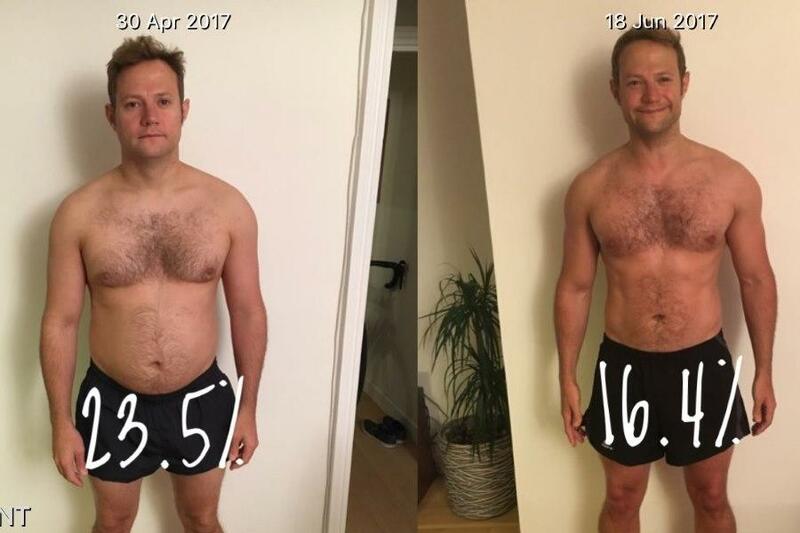 As I promised, here is how Matt achieved a 7kg drop in weight in 7 weeks. He stuck to the key points above really nicely and the results speak for themselves. 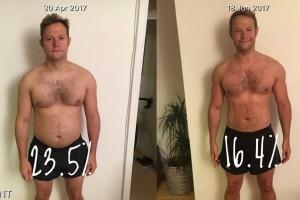 You can read more about his transformation success story for more details on exactly how he trained and see what he ate. You can try to go it alone or get help from someone who knows what they are doing (that’s me…). Get in contact and we can chat through some options about what would work best for you. I’m a personal trainer in canary wharf, London. You can also purchase Matt’s 7 day meal plan which I created and follow it to get excellent results.